When planning the most important day of your life, you may already have a vision in your head of what it will be like. Lavender weddings are a beautiful option any time of year, but especially when planning a summer wedding. With so many summer wedding colors to choose from, keep in mind all the elements that will need to incorporate your color. 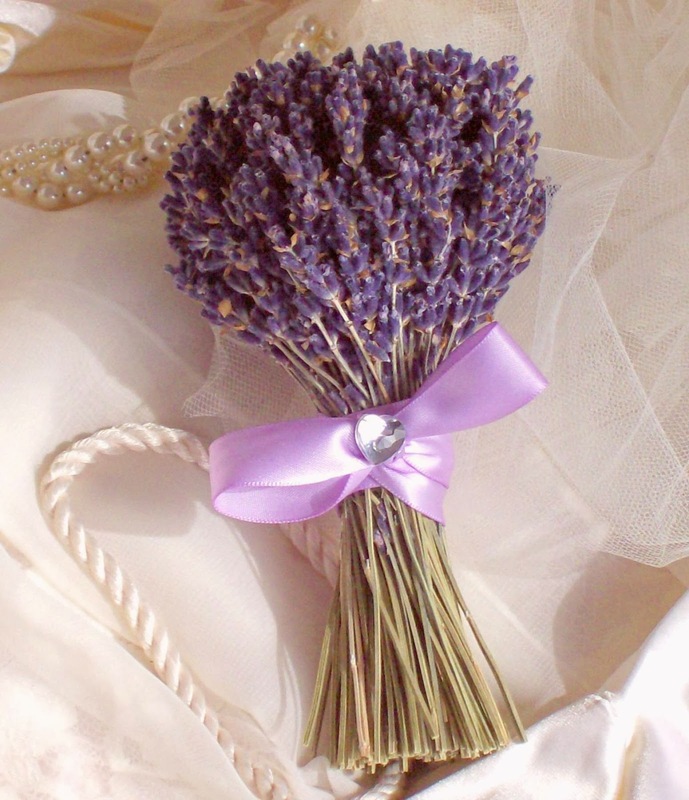 Lavender is extremely beautiful, romantic and versatile when planning your day. Lavender weddings make flower choices easy. There are many varieties that work with this color theme, whether you wedding is formal or an outdoor casual feel. Hydrangeas and wisteria, sweet pea, iris, cone flowers and lupine are a few choices. Many of these flowers are readily available and won't break the bank on your wedding budget. 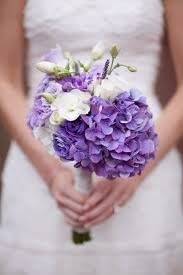 Incorporate one or several shades for beautiful lavender wedding bouquets as part of your summer wedding colors. Once you have said I do, your guests can shower your with lavender rice. Designed to be eco friendly, this product comes in a variety of summer wedding colors that will let your guest feel involved in the color theme. 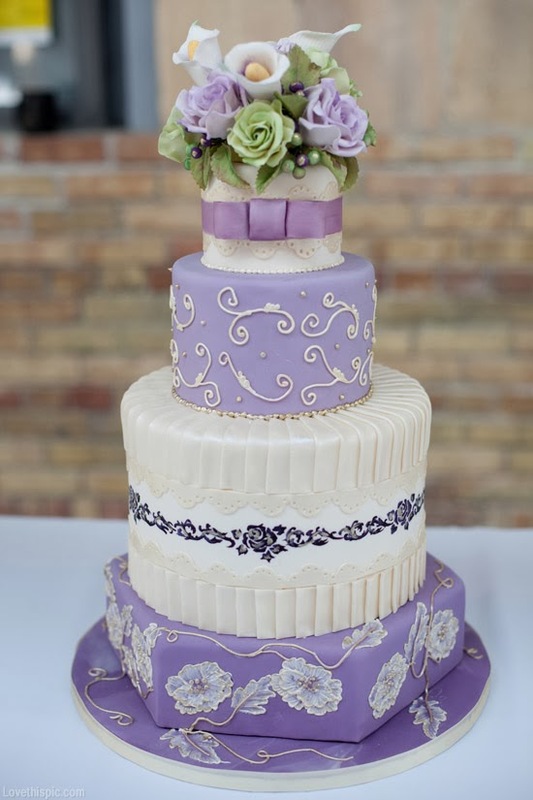 A lavender wedding cake can easily be the eye catcher of your wedding reception. Whether you choose to make your cake itself a striking lavender with bold frosting, or to use the flowers to embellish your cake, lavender weddings offer the perfect element of romance and wistful summer days. What sets Lavender Apart From Every Other Color Theme? It can effect everything from the bridesmaids dresses to the food. Yep, that's right. Lavender doesn't have to stop with the cake. 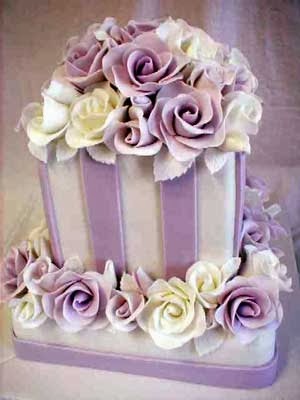 Use unique recipes along with your cake to carry on the lavender weddings theme. Offer guest lavender pork, made with just a smidge of fresh English lavender. Or perhaps find a bartender that can help you create some drinks that incorporate your summer wedding colors into your bar drinks. The possibilities are endless, with so many options. 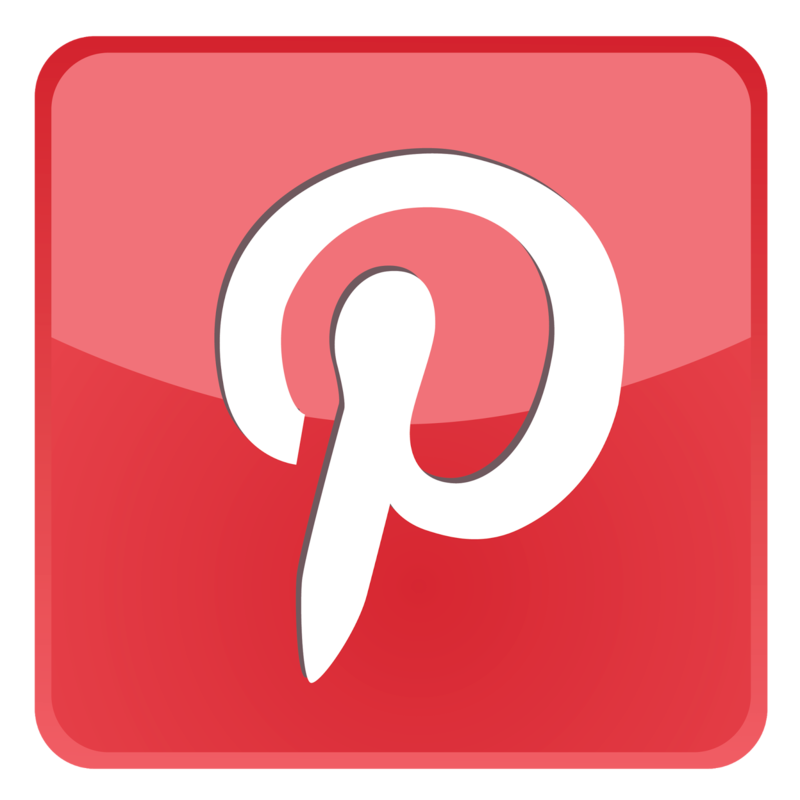 A good caterer will be able to help you design the perfect menu to round out your theme. Have your guests find their seating arrangements with pretty lavender seating cards. You may either have them printed to sit alone, or tie them to a simple lavender stem for that touch of simple elegance. 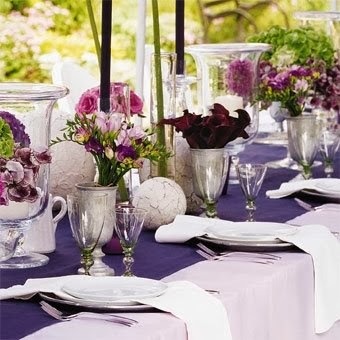 Perhaps the best selling point for lavender as one of your summer wedding colors is how versatile it is. 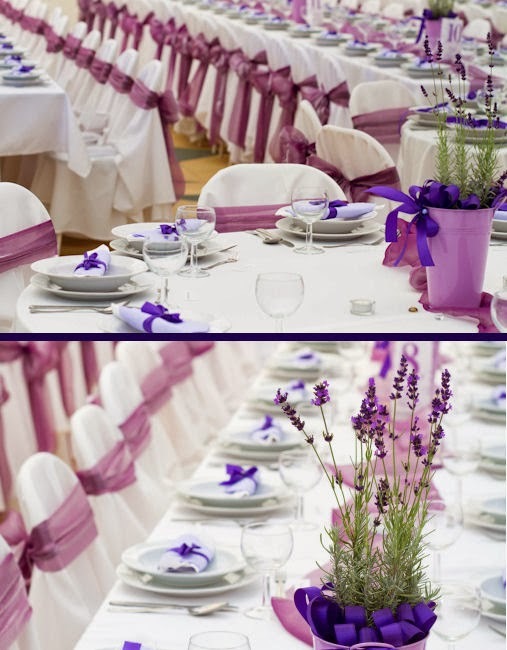 Lavender weddings can be completely purple, or the different shades go well with almost every other color. Whether it's Tuscan, modern or romantic, lavender fits the bill. It makes a great stand alone color, or you can match it with browns, mauves, oranges, whites - the choices are endless.